First and foremost let's address the big elephant in the room... the fact that I unexpectedly took another break from blogging. 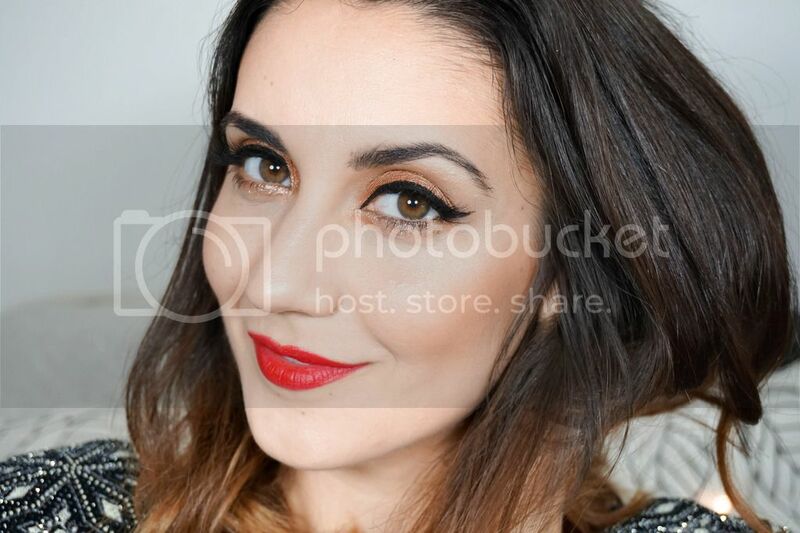 I'd like to sit here and tell you it was for some particular reason, but the truth is life happened and blogging was becoming stressful instead of being an outlet of enjoyment. So I decided to take a step away from it all, have a breather and try to give myself some time to get organised so I wouldn't feel so behind with it all. I'm not sure that I managed to get as organised as I had hoped to be, but I did plan some good content and ideas for the future... plus I had some time to play around with my new camera lens and hopefully improve my photography. I've still got a long way to go in terms of photography, but the most important thing is that I really enjoy it overall and I love learning new techniques or trying out new tips. I was trying to figure out when is the best day/time of the week to post, which was delaying me coming back even more, so I just decided to just go ahead and post as I am ready. That may mean my schedule won't be regular for a while but it's better than not getting any posts out there at all am I right?! 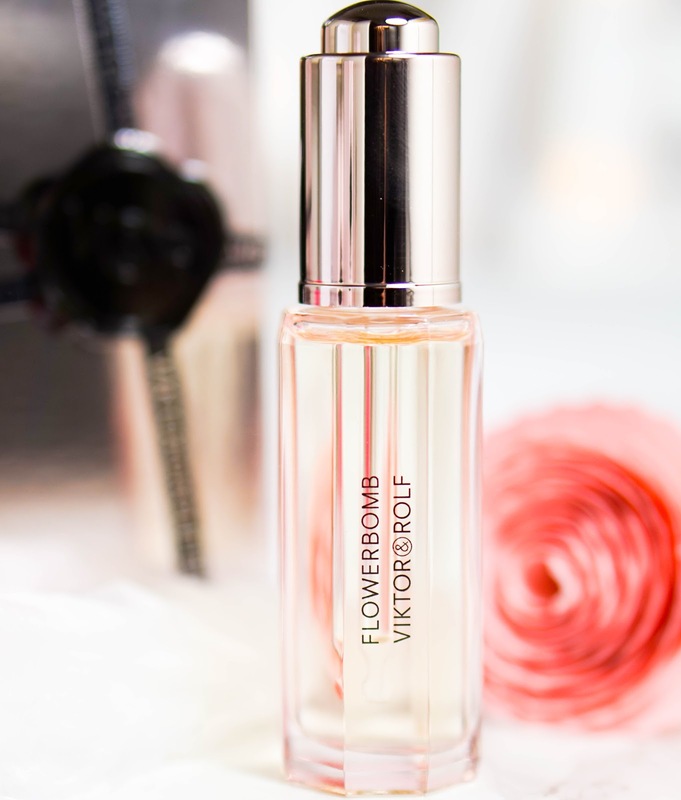 Another reason I really wanted to get this post out today is because I attended a very exciting PR event this week with Debenhams for the launch of the new Viktor & Rolf Flowerbomb Bloom* fragrance. I believe this fragrance is exclusive to Debenhams for the time being and with some exciting events happening around UK stores this weekend, there was no better time to tell you all about. Plus may I remind you it's Valentine's Day next week so this would be the perfect gift to a loved one or for yourself, because you know #treatyoself. So as I mentioned the event took place on Wednesday just gone, you may have seen my Instagram stories if you're following me (if you're not you could be missing out... just saying). I was so happy the event happened on a day when my other half was at home and I could attend after work, because it's such a bummer not being able to go to so many events these days now that I'm working full time. As soon as we arrived to Debenhams Head Office, we were whisked away in a room that I can only describe as fashion heaven... rails upon rails with beautiful dresses and fashion pieces for upcoming seasons, plus all the stunning accessories (can I just move in Debenhams please?). However the event was about the new fragrance from Viktor & Rolf. 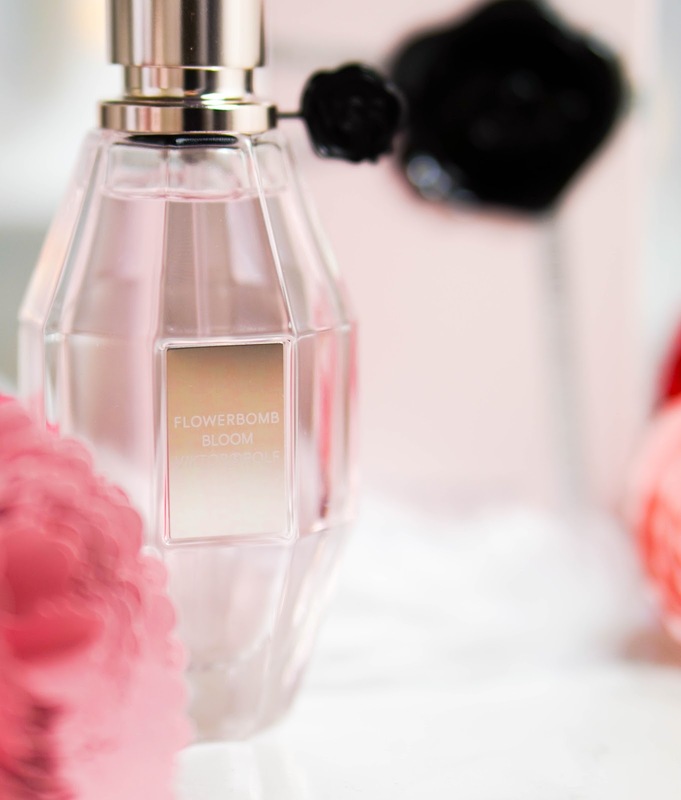 You may have seen me raving about the brand before, as I just adore their sweet BonBon scent, so I was really looking forward to learning all about the Flowerbomb collection in particular the new Flowerbomb Bloom release. After being greeted with prosecco and delicious treats, we were seated down for a paper flower making workshop, which was so much fun and a real eye opener into the world of origami. Our origami expert Samuel Tsang from Sesame's Origami thought us all about paper flower making and told us how it could be turned into an actual job... who knows maybe if I keep practicing maybe I can make paper flower bouquets for a living. I really enjoyed the workshop and proudly left the event with 5 flowers that I made with my own two hands, which I've used as props for this post before Ellie can get her hands on them. 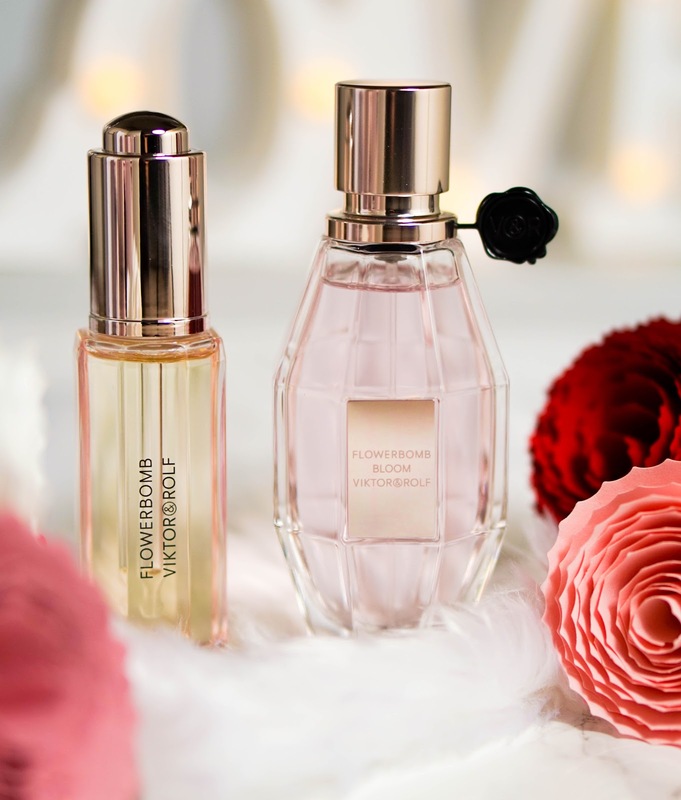 On our way home Debenhams kindly gifted us the entire Flowerbomb collection consisting of the original fragrance as well as the new Bloom addition and a very exciting Precious Oil. So now I can literally walk around smelling like a fresh bouquet of flowers and feel fabulous. But now let me tell you a bit more about the new Viktor & Rolf Flowerbomb Bloom fragrance. If you're a fan of the original scent, then I believe you will love the new addition... I certainly do anyway. You still have the original bouquet of flowers with warm notes of freesia, damask rose, orchid and jasmine. But the new Eau de Toilette concentration is refreshed with new accords of fruit, citruses and 'liquid air'. One of the main top notes is fresh pomegranate and mandarin, which are used for 'energy and optimism'. Essentially the new addition has been created as an airy, fresh and joyful interpretation of the popular original. Leading perfumer Domicile Bertier explained to Debenhams that the new scent was created to elevate the wearer and uplift their mood... "The mantra of this fragrance is to turn the impossible to the possible and celebrate going from winter into spring when flowers start to bloom." As much as I love the new fragrance, the most exciting addition for me personally is the Precious Oil, because I've never seen or used anything like it before. 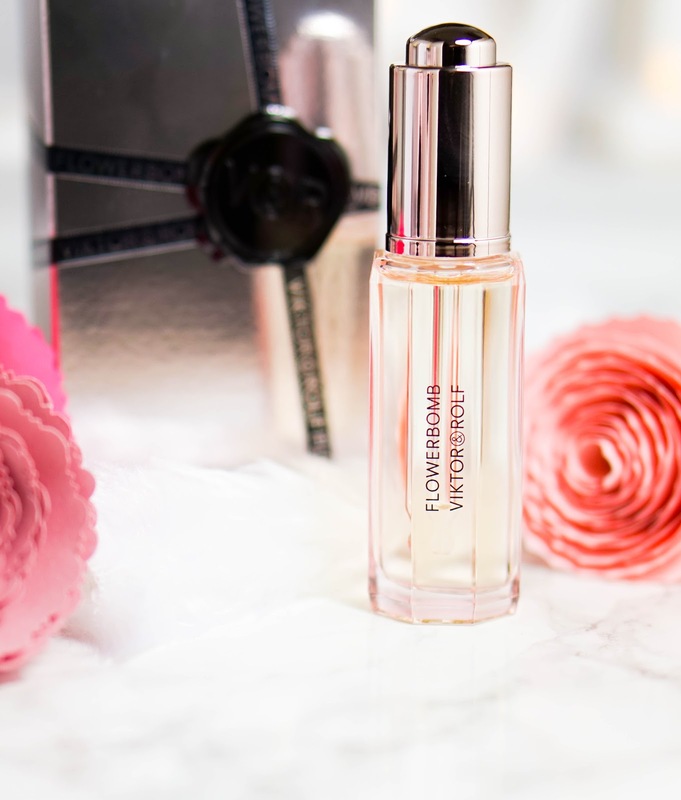 This oil was created to be combined with the Flowerbomb fragrances, in order to prolong and intensify the scent on your skin. You only need a couple of drops applied to pulse points on your body, such as the wrists for example. You can then follow this with a spritz of the perfume and you're guaranteed to have a stronger and longer lasting Flowerbomb scent throughout your day. Of course you can also use this on its own for a much lighter scent, it's quite subtle so perfect for anyone that doesn't like a strong scent. 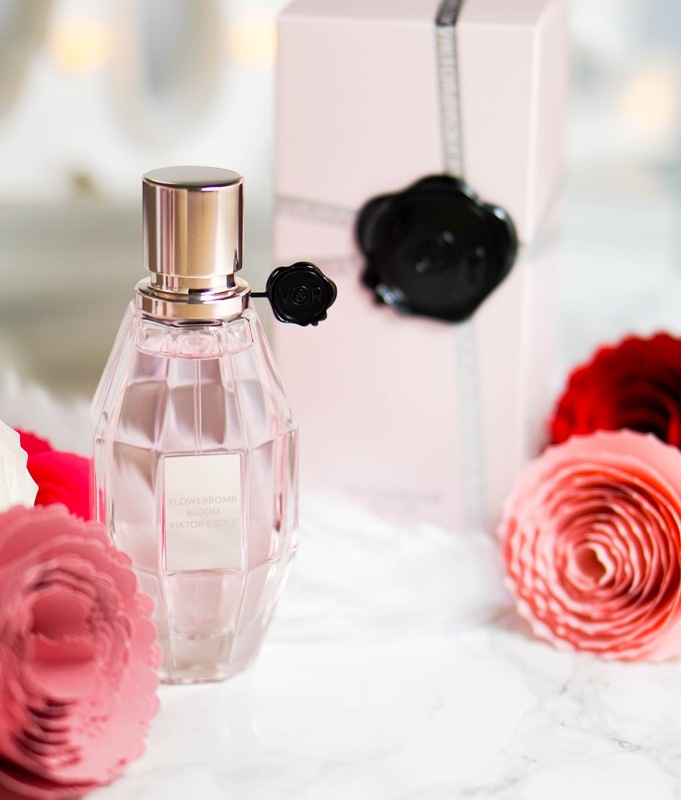 Now this tiny bottle is pricey, so it's not something I would usually splurge on typically... but I can see that it truly works and I just love that it intensifies the already beautiful scent of the Flowerbomb fragrance. I'm just happy that a little bit goes a long way, meaning I will have this for a long time and I know that you will get your moneys worth. As promised I wanted to tell you all about the events happing around Debenhams stores this weekend. 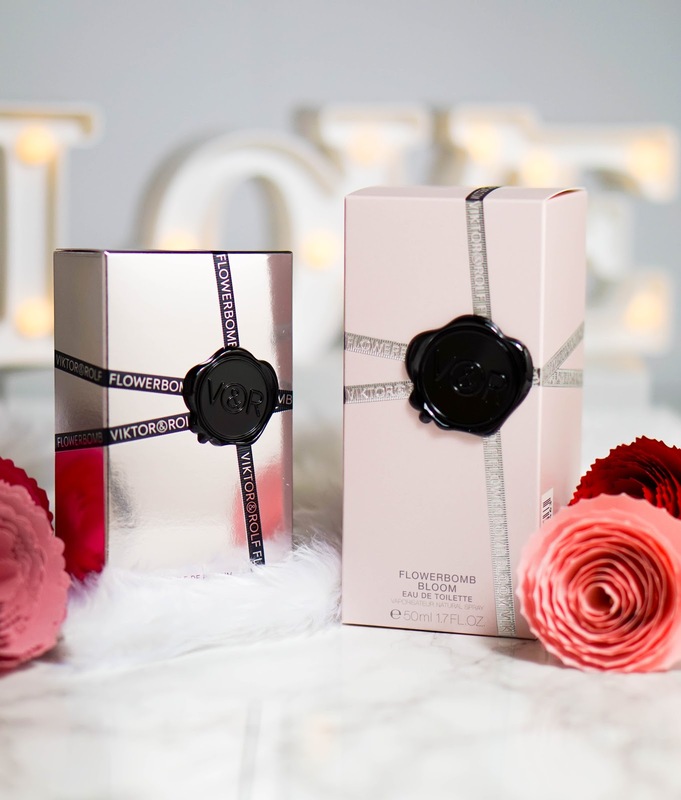 One of the main events on the 11th (today) and 12th of February, which you can find in certain stores such as Oxford Street in London or The Trafford Centre in Manchester... is that you can receive an Origami Flower that can guarantee one of four different Flowerbomb treats hence the #FlowerbombSurprise. Another event happing in stores this weekend is that you can have an artist hand paint your very own bespoke flowers to your Flowerbloom bottle. I have to say I am very tempted by this one as I can only imagine how beautiful these hand painted flowers will look on the already stunning packaging (whether I will actually make it into the city, we shall see though). Lastly you can also receive free personalised engraving with the purchase of any Viktor & Rolf product. So that's it from today's lengthy post all about the new Viktor & Rolf Flowerbomb Bloom fragrance. It really is a lovely new scent, which I encourage you to check out next time you're in a Debenhams store. Until then I'd love to hear your thoughts on the Flowerbomb collection... have you tried this popular scent before?